According to the CDC 1 in 45 children in America is diagnosed as on the autism spectrum. According to global autism expert, Dr. Lynette Louise, “That’s a lot of parents worrying and waiting for answers while hoping for help.” The good news is Lynette has answers! Miracles Are Made is a real-life guide written from the happenings of real life. It is a How To on living with and healing autism. 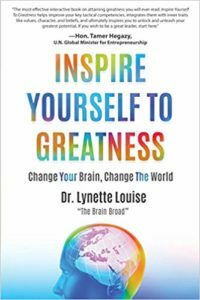 Lynette Louise began life’s journey first as an individual, then as a mother, and eventually as a grandmother reaching into the heart of this disorder and helping first herself and then her children to become independent. Lynette’s journey, challenging as it was, taught her many lessons on the very real possibilities and limitations buried within the diagnosis. 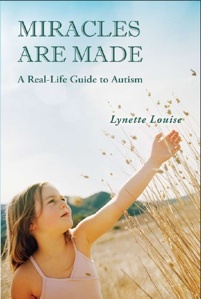 In Miracles Are Made Lynette not only shares stories from her personal and professional life but also illuminates the whys and the wherefores of the social climate parents find themselves in when coping with autism. She does this by educating us on the history of science and social awareness in relation to this disorder. By highlighting neurofeedback and the plasticity of the brain she offers valuable solutions. She then teaches us how to make the best of what is possible and recreate the healings she has been fortunate enough to facilitate. You will come away understanding how to understand autism. You will come away knowing what to do. Or use the “Buy Now” button to purchase directly from Lynette! 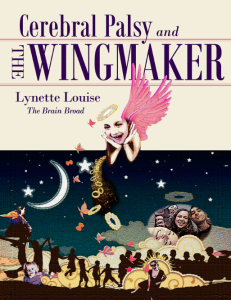 Cerebral Palsy and The WingMaker is about a little girl that gave her life so that others could grow wings. It is about the beauty gifted to the capable by the challenged. It is about becoming worthy by becoming aware; first of oneself and then of others. The little girl, whose name is Reazon, has Cerebral Palsy. She has spent her life in a wheelchair, surrounded by siblings that play while her mother works. Her dream is to play and be “normal” so that her mother won’t have to work so hard. Since Reazon is her mother’s reason for the many choices in life, change is not easy to attain. A specialist by the name of Happy-Ness arrives and teaches the art of play and how to use biofeedback for the brain in order to recreate the game. This is a story of discovery that answers the question, “Who makes wings? The savior or the saved?” It’s the WingMaker of course. This story is true, if you think it can be. 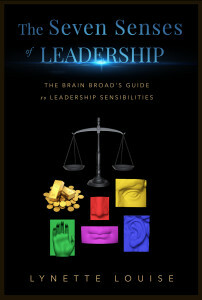 NEW RELEASE: The Seven Senses of Leadership explores with detail how to harness and understand our Leadership Sensibilities. By explaining how is is that our senses Lead us, highlighting the strengths and possibilities of each one, and how they rely on and affect each other, The Brain Broad reminds us of the power in Leading and the value of holding motivators and needs of the Group at the forefront. In reading this book we become better Leaders. We also become more educated choosers of who we want want Leading us. Highly acclaimed! Best seller in Amazon Kindle (Leadership) for several days! Click here to purchase on Amazon (paperback). Click here to purchase on Amazon (Kindle). 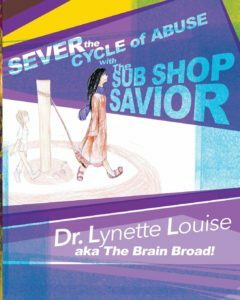 Sever The Cycle of Abuse with the Sub Shop Savioris the story of a young mother who is lost, trying to save herself from a deep and dangerously dark place. Her own strength and intelligence are working against her, having been fed a diet of abuse and lies for her entire childhood. With the tenacity of a mom insisting on becoming healthy for her children and the help of an uncommon stranger, a smelly older homeless lady in a sandwich shop, the tangle of abuse and lies is recognized, examined, and severed.